Last week we discussed Hazard Communication, Part II. This week we are going to discuss Step 4 for creating a Hazard Communication program. 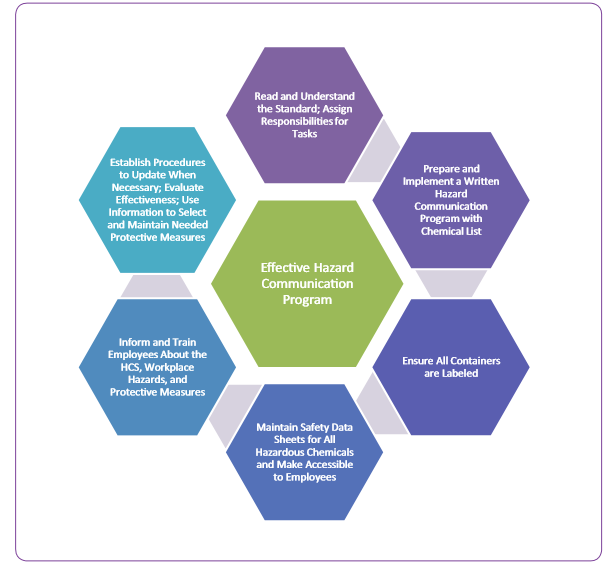 As part of the Hazard Communication Standard, OSHA requires chemical manufacturers and importers to obtain or develop a safety data sheet (formally known as Material Safety Data Sheets or MSDSs) for each hazardous chemical they produce or import. Employers are required by OSHA to have an SDS in the workplace for each hazardous chemical they use and to provide SDS training for their employees. Many manufacturers and suppliers make their SDSs available on the internet. If you do not have an SDS for a chemical used at your worksite, contact the manufacturer. Before using any SPF product, you and your employees should read and understand the entire SDS for any product you may come in contact with at a worksite. And, information on storage, handling, transportation, and disposal. This information is intended to help several audiences – employers, workers, safety and health professionals, emergency responders, government agencies and consumers. Because these documents are so important, make them as readily accessible at a job site as possible. Keeping one clean copy of each SDS in a clearly marked binder is a good practice that helps keep the information readily accessible. Many contractors like to keep several spare copies of SDSs on hand, in the event of an emergency or incident, this allows multiple copies to be available for emergency responders. Another good practice is to review the location of the SDS binder with all workers on the SPF jobsite before the job begins. Note that OSHA requires that all SDSs be readily available to all workers at the jobsite, which may include other trade workers. Who is responsible for obtaining and maintaining SDSs? How are SDSs maintained and kept in the workplace? How do workers obtain access to them in their work area during the work shift? Additionally, many SDSs are now available online, so workers with mobile devices or in-truck internet service may be able to access them electronically on site. Also, it may be possible to obtain the SDS in multiple languages if needed. Contact the material manufacturer for more information. Stay tuned next week as we discuss Steps 5 & 6 of creating a hazard communication program. 3 responses on "Hazard Communication, Part III"